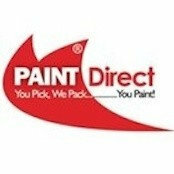 With pots of choice, Paint Direct leads the UK's paint sales online. Competitive prices, efficient delivery and service from the experts! We love paint! Professional Information:With pots of choice, Paint Direct leads the UK's paint sales online. Competitive prices, efficient delivery and service from the experts! We love paint!